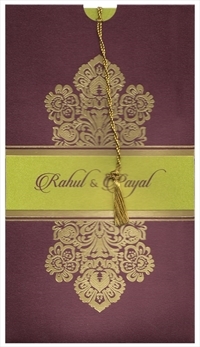 Dark brown colored Pocket wedding card with golden tassel - D-8931- A 2019 design! 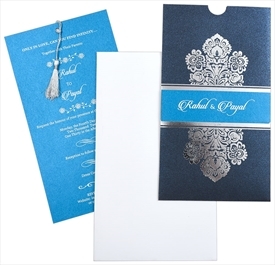 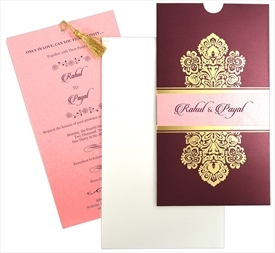 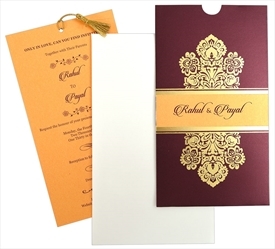 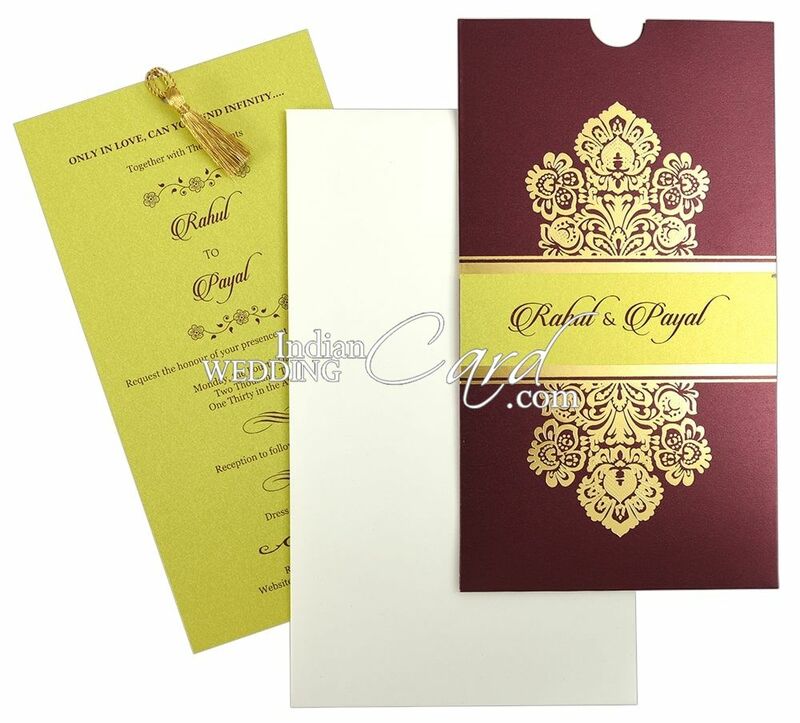 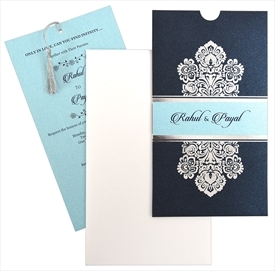 A band pasteup with couple’s name and gold foiled damask motif adorn the front of pocket card. 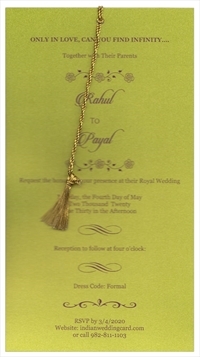 Insert is simple, to be pulled out with tassel. 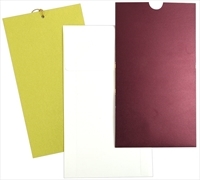 Dark brown shimmer paper (250 gsm) for card. 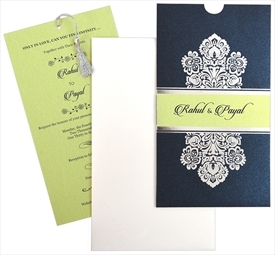 Lime green shimmer paper (250 gsm) for 1 insert & top band with golden tassel to pull out. 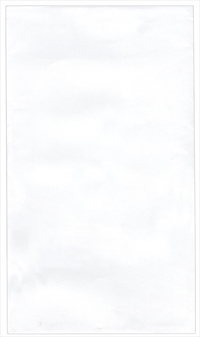 Off-white paper (180 gsm) for envelope.